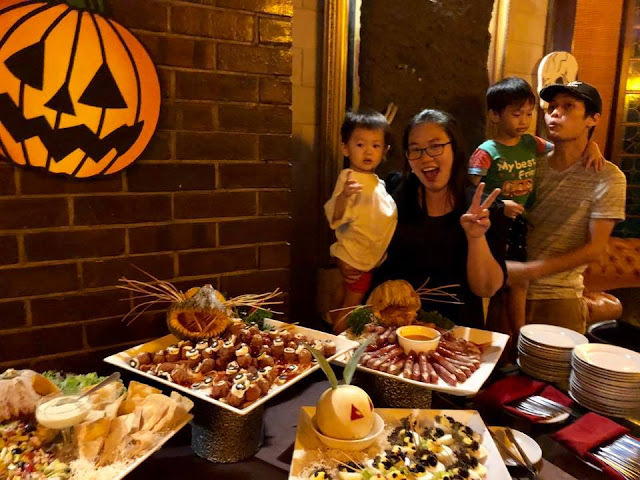 Spooky Fun Halloween Night For Family And Kids At Little Cuba, Holiday Villa Hotel & Conference Centre Subang! Halloween Party will be kick-start Tomorrow, 31st Oct 2018 from 5pm to 1am at Little Cuba, Holiday Villa Hotel & Conference Centre Subang! 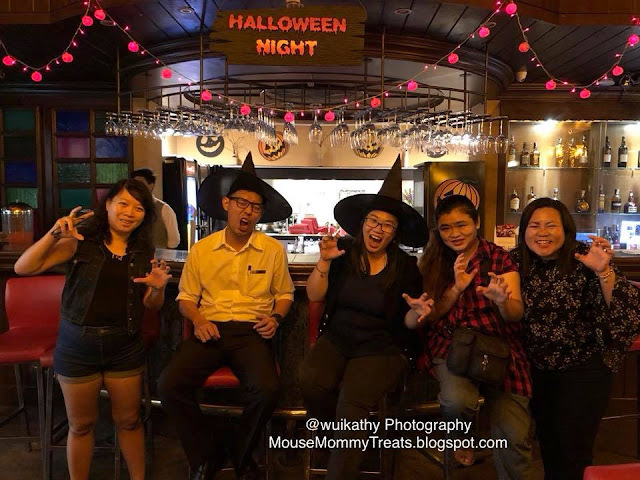 Mouse mommy was having Halloween Celebration with family and friends. Love the hospitality of the crew, they are friendly greeting us and child-friendly too. 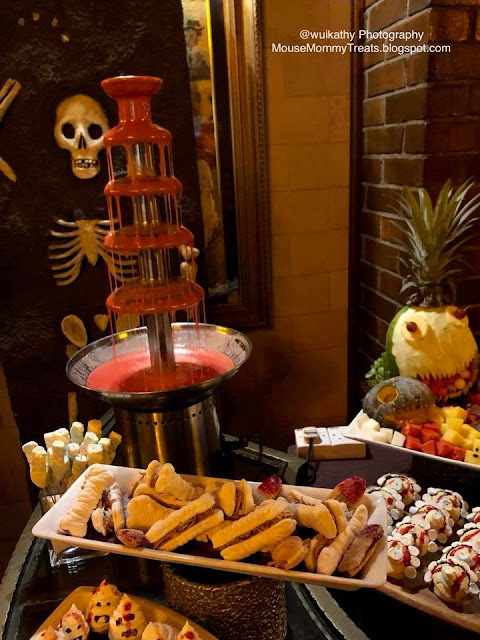 Once we step in to Little Cuba, the witch waiter is serving us a Welcome drink “Bloody Dracula Cocktail” to welcome us to join the Halloween Party! OMG! The Halloween theme foodies was creative and thanks the Chef put so many effort in preparing the “Eerie” snacks for all patrons at Little Cuba! The SCREAMING Skull Tortilla and Guacamole, Grilled Ghost FINGER, Eye Ball on Witch Hair Pasta, BeDevilled Scones, Devilish Spider Eggs Scotch, Meringue Ghost, Sweet Bones Bon, GraveYard Cake and Bloody Mary Chocolate Fountain are served for all. Such a nice dessert! My boys MR and baby MH were love it so much. MR was directly go and dip the marshmallow with the Bloody Mary Chocolate Fountain. He said to mouse mommy: Yummy! Little brother MH loves the Devilish Spider Egg Scotch and Grilled Ghost Finger aka sausages. Besides that, Little Cuba also offers special beverage promotion for the day for Tiger draught (1 for 1) for RM26nett only. Heineken bucket (5 bottles) for RM80nett only. Wine (Red / White: per bottle) for RM95nett only. 30% discount on all food order (A la Carte) upon order of any house pouring label (Not applicable to promotional items). Patrons might get a chance to Win a 2 day 1 night stay at Holiday Villa Hotel & Conference Centre Subang with Best Halloween Costume! 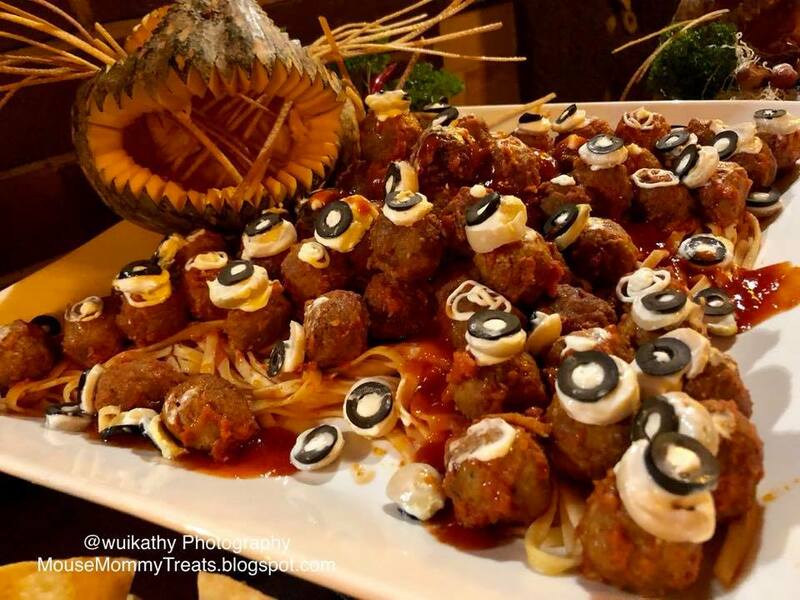 Do dress up with the most Spooky Fun Halloween Costume with family and friends to join this Halloween Party! 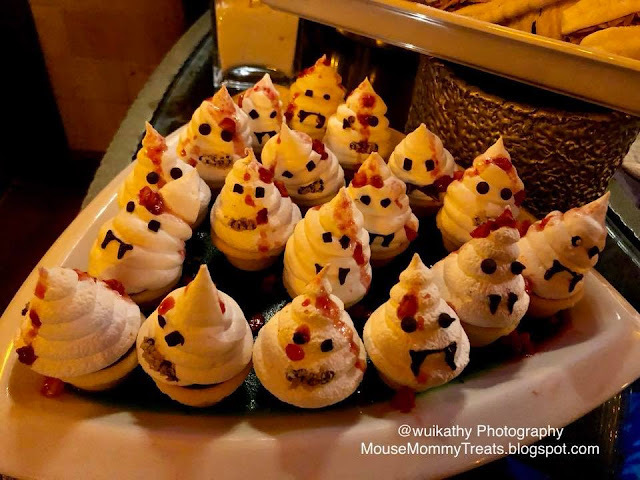 wah.. i see a skull kat tepi tuu.. huhuhu.. happy haloween to you all.. snacks sedap2 belaka.. 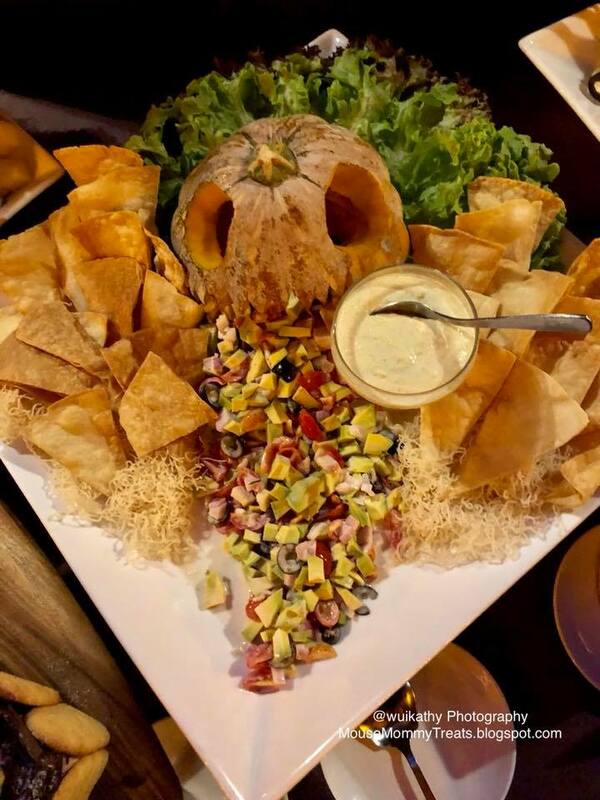 I love the food decoration. But they don't look scary at all. They look delicious! yeah! 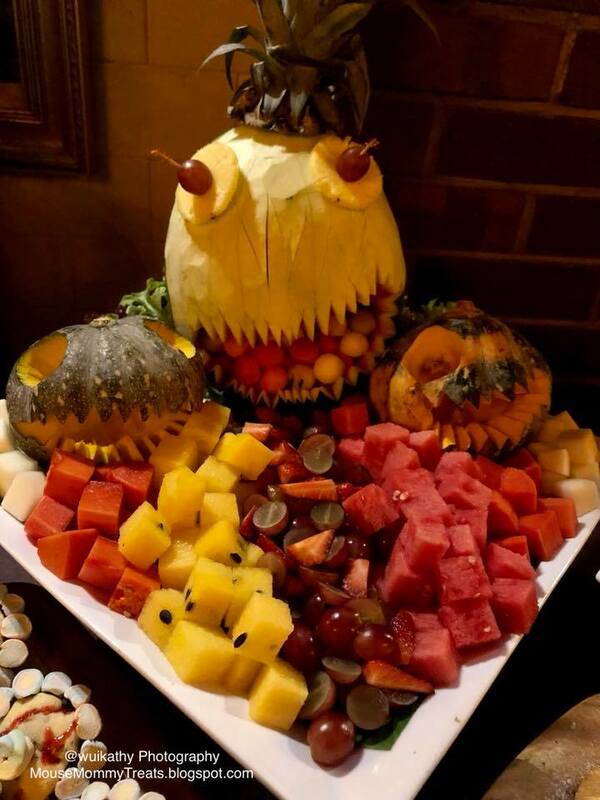 agree, so creative of the Chef. All adults and kids love it too! 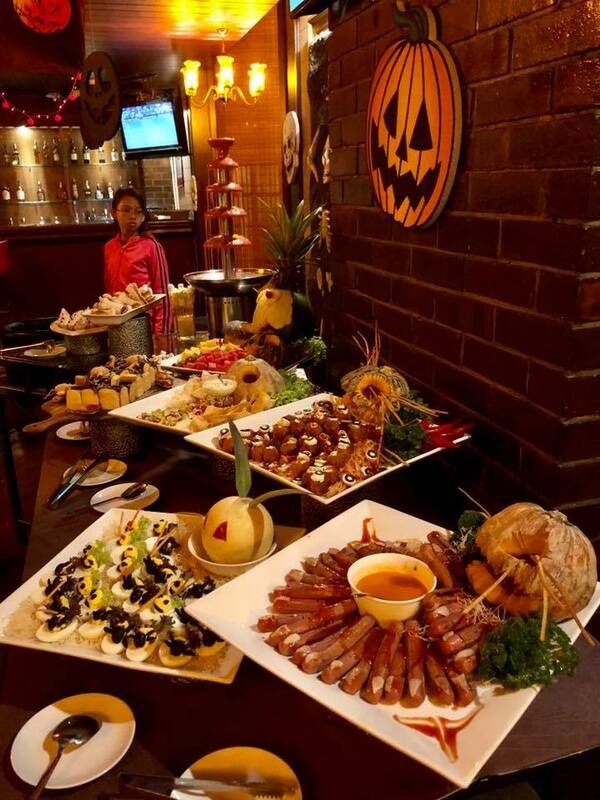 yeah so fun to go halloween party, so long time no go Halloween I think got two years. This year kids didnt join any but glad to go for this. Family time together and ladies time too, now contest Halloween happening tonight for adults at this Little Cuba. 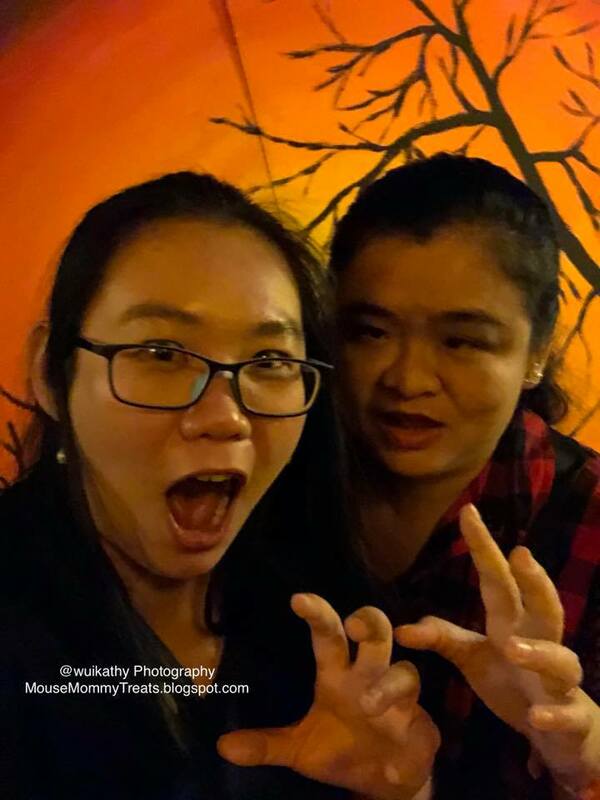 Fun Halloween Party night together! Fun family time! Meriahnya all the food. Semuanya nampak sangat sedap. 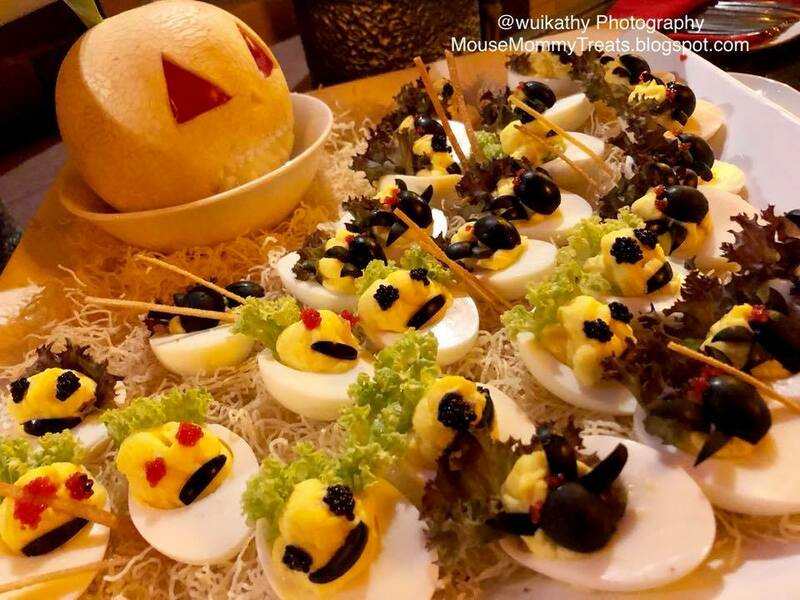 The food presentation pon ikut tema Holloween. Creative and cute sangat. 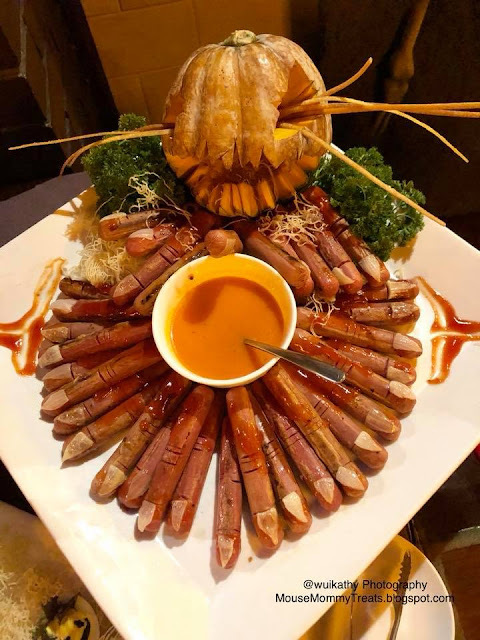 Suasana yang menyeramkan, deco yang menakutkan, makanan yang sedap dan kreatif... suka sangat! Yeah! 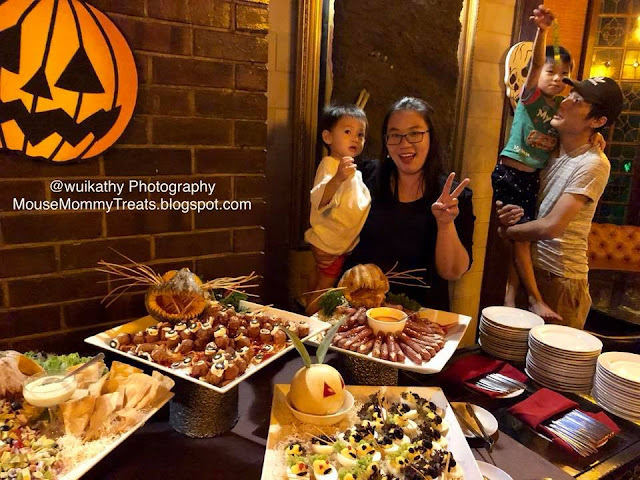 Halloween celebration and food can always gather all family and friends . Glad that Malaysia got many festival and celebration on going especially year end now with school holidays coming soon. I really miss our spooky moment at Little Cuba. 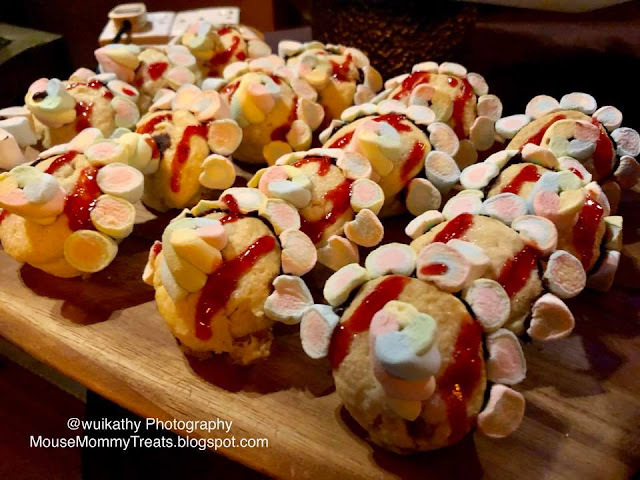 The food is indeed creative and my children love it too. 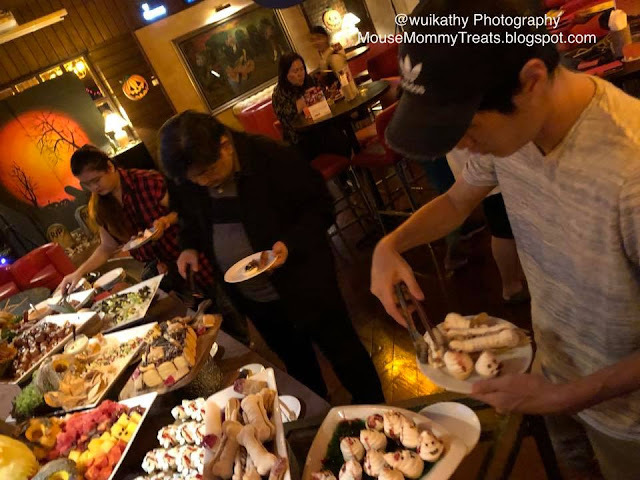 yup yup, my boy MR and baby MH "Self Service", go get themselves their favourite snacks and marshmallow dip with the bloody mary chocolate fountain. They love it! Yes, the food and beverages served at this hotel is very good. We like all especially the Devilish Spider Egg Scotch, Screaming Skull Tortilla and Guacamole and Eye Ball on Witch Hair Pasta. Yummy! 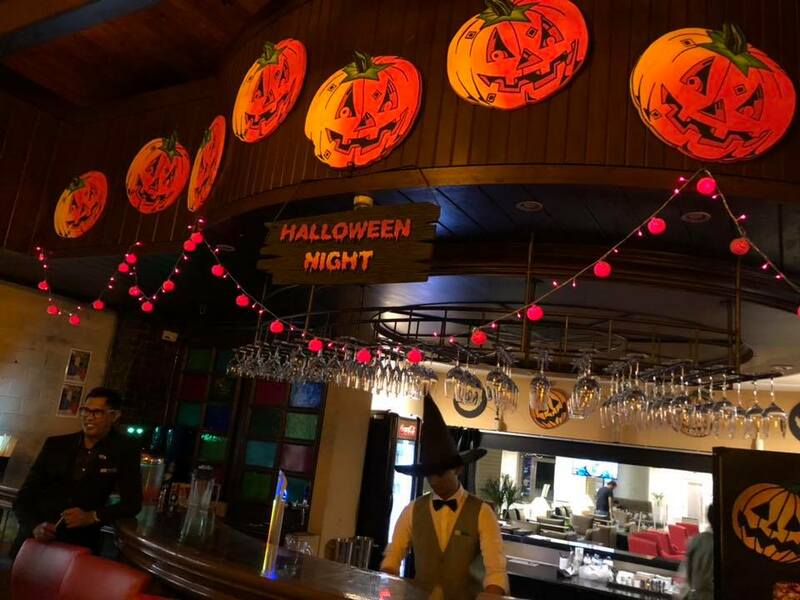 wow it seems so much fun and filled with awesome halloween ambience! totally loves looking at those foodie pictures, all seems great and yummy! Would love to try those too haha! This hotel F&B good, yes, find some time to have a buffet or staycation with your loved one. It is a pleasant and comfortable experience for us! haha!! agree agree with you! Never been to any Halloween Party. Nampak seronok nak cuba biskut dan kek tema hantu ni. Pernah baca saru resepi macam mana nak buat Jari Hantu. Hehe. Kanak happyla dapat treats. Jgn dapat Trick sudah. hehe. Tu lah tema Halloween kan, samada Treats OR Tricks! Mmg seronok utk dewasa dan juga kanak2! happy hallowen ... Labu tu comel je.. Happy Halloween to you, family and friends too! 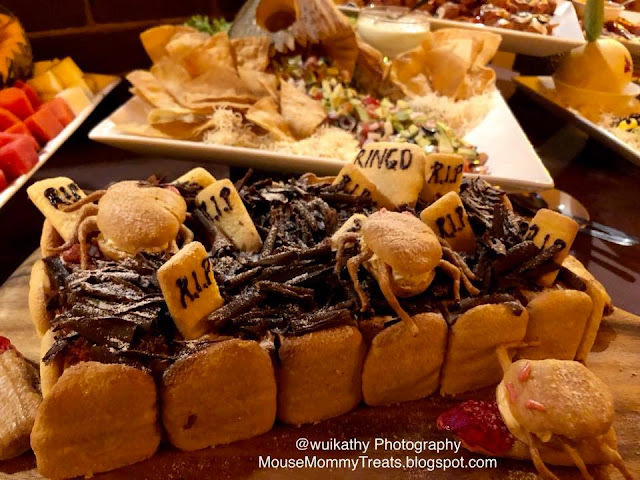 Musim Holloween ni banyak hotel buat makanan spooky camni. Nampak menakutkan tapi mesti sedap kan. Hehe. 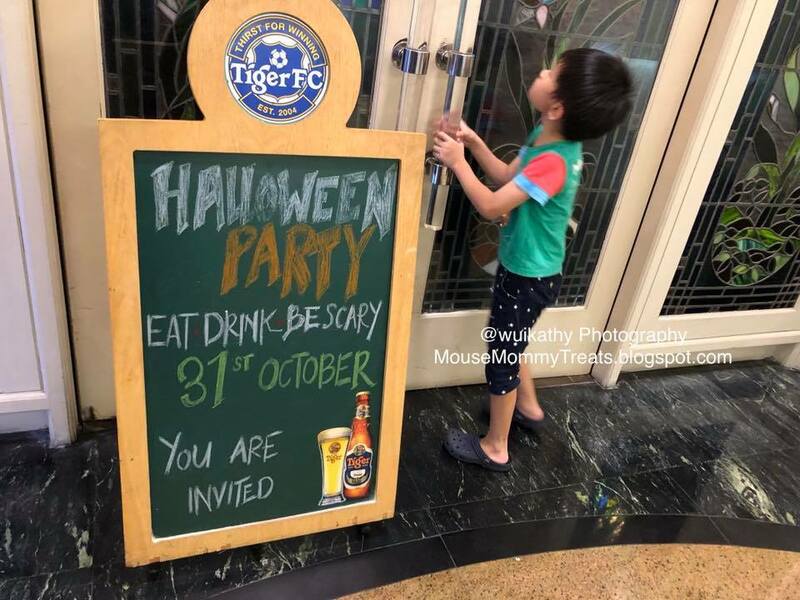 Betul tu, terutama Hotel Villa Subang ni mmg makanan sedap, staff yg ramah dan juga "children-friendly". Mouse mommy dan ank2 suka sgt. Lain kali mesti dtg lain dgn ank2. Siap ada kid's indoor playroom, swimming pool, karaoke, bowling, gym dan sebagainya. Best! Wowww this is so exciting. Got such spooky decoration some more. i wish i can be here as well. saya stay di villa subang ni once. long time ago. hotel nyer very olskul. nice environment. tapi facilities are up to date lah. amazing la bila organise program sebegini kan.
What a fun way to celebrate Halloween, I should have joined, looking really spooky abdand fun at the same time. Haaa...scary betul😱nk mkn pun mcm takut2 kan?tapi tgk menu dia mcm sedap jer...mkn jer. so spooky.. happy halloween.. such a lovely halloween celebration.. a little scary.. just nice for family outings.. happy for kiddos.. Surprise Wiggle Boks Gift Box For Mommy And Baby!